When new coaches complete their health coach certification, they hope they’ll quickly fill their practice through word of mouth and without doing much marketing. Be honest – did you feel this way? I did! Afterall, I knew there were SO MANY people out there that needed my help. I wanted to share my knowledge and expertise and help as many people as possible. Things started off strong. When I left nutrition school I already had a dozen clients. I thought it would continue this way and it would be smooth sailing all the way to self-employment. But I was wrong. Not long after I left school things really slowed down. I only had a trickle of clients coming in… not nearly what I needed to make leaving my day job a reality. I didn’t know what had changed. I couldn’t figure out why the things I was doing weren’t continuing to work to bring in clients. I was spending so much time trying to get clients, and I felt like I was spinning my wheels. Why weren’t potential clients reaching out and scheduling initial consultations? I completed my health coach training and I was ready to help people! Where were they? 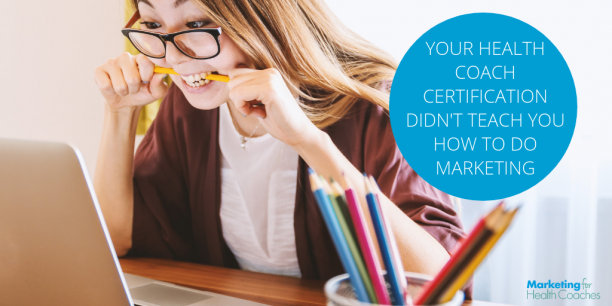 Turns out, getting a health coach certification doesn’t teach you how to get clients. Even though I had learned a lot about health and nutrition, my schooling didn’t prepare me for attracting clients, leading initial consultations, and running a business. It wasn’t until I invested in learning marketing that my business turned around and I had a steady stream of clients again. Realizing that I needed more training and support in this area was a game changer for me. Here’s the truth: The thing that makes or breaks a health coach is the marketing. Because let’s face it….if you don’t learn how to attract clients, you won’t have a business. You get your health coach certification, you mention to a few friends you’re a health coach, they send you a bunch of clients, who then refer others to you, and voila! you are always booked to the max and have a booming business! I hoped for this when I first started, too. It’s optimistic, but it isn’t realistic. You get your health coach certification, you mention to a few friends you’re a health coach, they send a handful of clients your way. You work with those clients but aren’t getting new ones. You decide to start doing some marketing, but you really aren’t sure what you’re doing so you attempt a bunch of strategies to see if anything sticks. Nothing does. You start to doubt yourself and your ability to make a living as a health coach. I see this all the time and it breaks my heart. 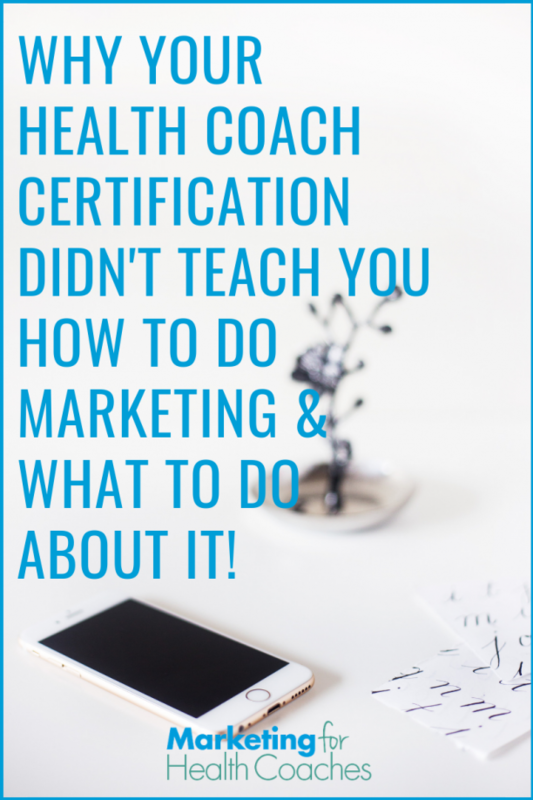 You can have all the health coach training in the world but if you don’t learn how to market your business the right way, sadly, you won’t have one. 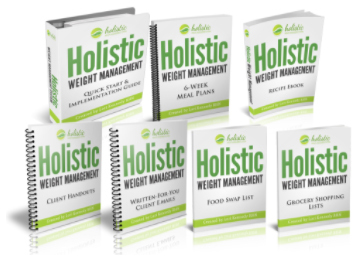 You get your health coach certification, you tell a few friends you’re a health coach, they send a handful of clients your way and you start bringing in a little income. You decide to use this income to invest in learning marketing skills and techniques to attract your ideal clients, so that once your work with your current clients is done, you’ll have a consistent stream of new clients to work with. You put your newly-learned knowledge to the test and start strategically marketing your business. Suddenly you have potential clients contacting you for initial consultations and these consultations are turning into paying clients. You smile as you say to yourself…“this actually works!”. Your confidence and enthusiasm soar and marketing your business starts to flow naturally. You no longer dread spending time on marketing because your business is growing and you can see exactly how your marketing efforts are paying off. 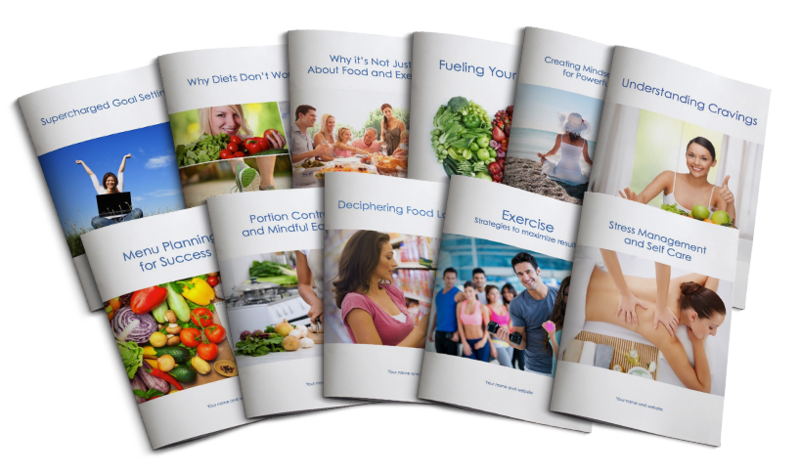 You now have your health coach certification and you’re making a healthy income! Once you put time and effort into learning how to properly market your business, things start to take off. If you aren’t marketing your business, you’ll struggle to become known outside of your immediate family and friends – which won’t give you the thriving business I know you want. If you’re doing some marketing but you haven’t learned how to market, you’re likely doing the right things…but you’re doing them the wrong way. You’re spending the precious time you have to work on your business in ways that aren’t actually helping you get clients or make money. This is why I say that strategic marketing = more clients. And, as you start to see results from all your marketing efforts, marketing your business won’t feel nearly as painful as it may now. You might even start to enjoy it! The good news is, you don’t have to spend ALL of your time learning and marketing your business in order to have a successful business. Whether you’re brand new to marketing or you’ve been around the block, there’s an easy way and a hard way to do it. If you’re putting in a lot of work, feel exhausted, and yet have very few clients coming in, you’re probably taking the hard path. The hard way of marketing can take many forms.. You might be trying a few different marketing strategies to see what sticks. It’s possible you’re trying the right marketing techniques, but aren’t going about them the right way. Or maybe you’re trying advanced marketing techniques that work for the ‘gurus’, but aren’t a good fit for where you’re at in your business right now. If you feel like your marketing is a fruitless exercise and a total waste of time, you’re on the hard path. If this sounds like you, I’m guessing you don’t have anyone giving you support or guidance…so you aren’t sure exactly what to do to get clients consistently. The easy way of doing marketing feels a lot less stressful. When you’re on the easy path, you’re still putting in focused effort, but clients are coming in the door. You’re using tried & true marketing techniques that get you clients quickly. You’re not wasting time trying to master advanced techniques, or spending countless hours on tasks that don’t generate any interest from ideal clients. On the easy path, you have someone guiding and supporting you with your marketing. You know which strategies and tasks to focus on, have a clear plan and feel calm and organized. 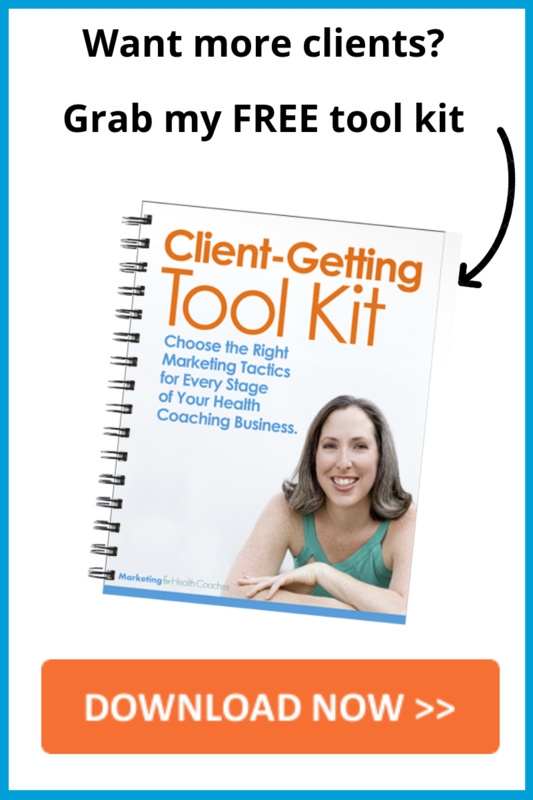 You know exactly what to do to get clients and it’s working! The easy path to marketing success doesn’t mean you aren’t putting in the work. It just means you’re only spending time on marketing strategies that are a good fit for you AND the ones that get you clients. The easy path is what I show the members of The Health Coach Profit Lab. Learning how and where to focus your time will make a huge difference in your health coaching practice. Does this topic resonate with you? Are you going the easy path or the hard path?